Aruba to Live or to Lease but always to Love! If you love spending time in Aruba, and would like to have a little piece of Paradise, any investment in Aruba is an excellent idea, and has lots of real estate in Aruba to offer. Aruba is sunny all year round, and can be enjoyed to the fullest since there is little rain and great beach weather virtually every day! It also offers every water sport known to man, great nightlife and a myriad of casinos, great restaurants and nightspots, the people are friendly and it is the safest island in the Caribbean! Another plus is that it is hurricane-free, as it is south of the hurricane belt. There is the occasional tropical storm, perhaps every 5 years or so and only in the fall. Aruba also grown tremendously. There are great supermarkets, shops, and huge hardware and home. All indications are that this trend will continue through the foreseeable future. World economic situations affect us all, but remember Aruba has amazing qualities and is tied to her former colonizer, the Netherlands. 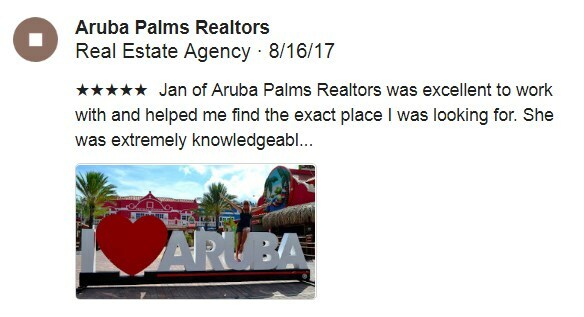 There has never been a better time to buy real estate in Aruba! Due to economic weakness in North America and Europe over the last few years and the fact that many people from these areas owned second homes in Aruba, a savvy investor can now purchase a home or investment property with huge savings compared to the prices of several years ago. Houses for sale in Aruba were always low – but now some will go for 25% off the market value, or even lower! Aruba is proud to be an independent island nation within the Dutch Kingdom, and under Dutch rule, making it a fair democracy in a crazy world. Whether you have fallen in love with the island and want to spend a significant amount of time here, or you are looking for a good investment, finding your dream Aruba villa for sale now could be the ideal move for you. Aruba is prime for easy living and beautiful beaches, and also boasts a special kind of people who will do almost everything to assist its visitors. Isn’t it time you took the plunge?